Big goal optional since we&apos;ll be playing in midfield. Maybe setup one side. + Receive with far foot - behind standing foot (NO reaching out across body). Chest over ball. Attackers combine to possess the ball. 6 passes = goal. 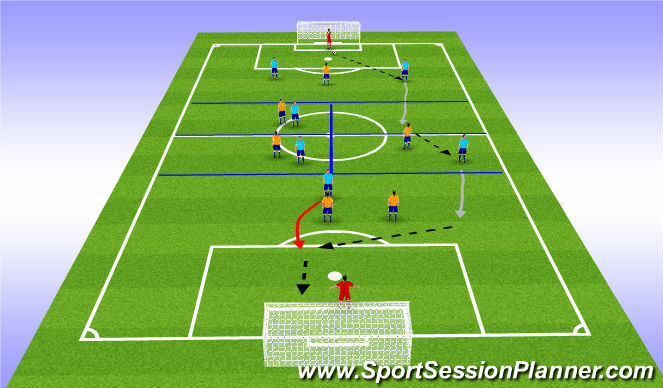 Defenders try to win ball and score in any of the 4 mini-goals. Team in possession on outside in functional formation. Neutral acting as #6. 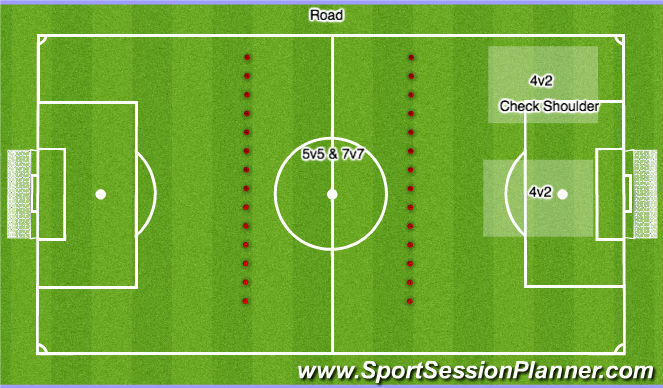 Team in possession scores by getting ball into striker(s), who must stay central (between cones, which are 15 yards apart). + Defending team needs to be connected and compact to deny central passes. All players must be in their third defensively. 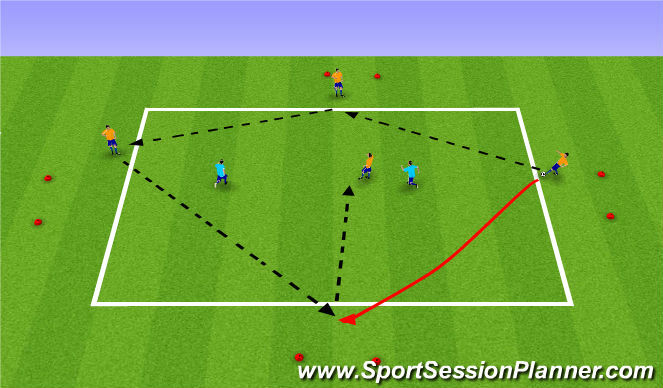 Midfield players try to occupy different quadrants than teammates. 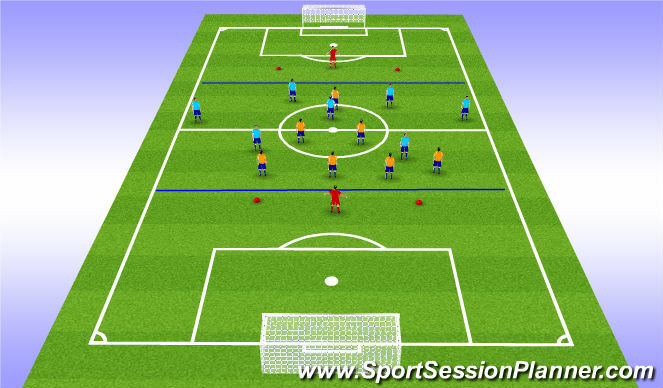 Defender is allowed to join in midfield if box is unoccupied. 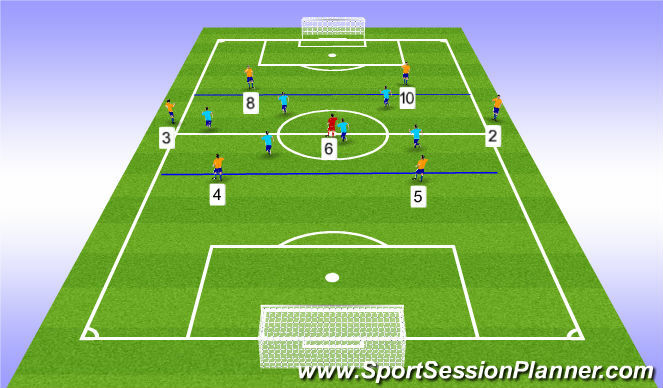 A midfielder is allowed to join attacking 1/3 off dribble or pass. 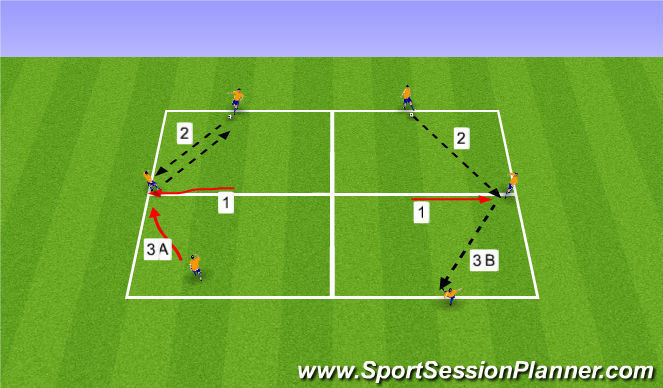 + Pickup up cones and PLAY!